Would you like the initial drift rate of your clock calibrated? You have reached the right place. The Crazy Clock is available with Sidereal, Martian, Lunar or Tidal clock firmware, in 12 or 24 hour movements, with or without calibration. Simply use the menus above to select the movement you'd like. This is a replacement controller board for a lavet stepper motor driven clock movement. 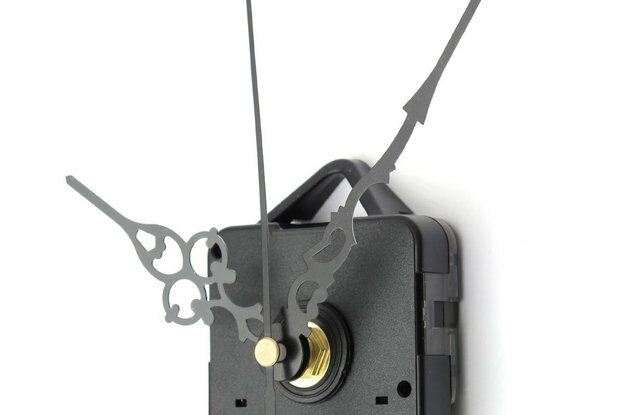 These type of clock movements are ubiquitous in cheap wall clocks. They typically are in black or clear plastic inch-and-a-half square boxes with a single AA battery holder and have second hands that jump from one second to the next. 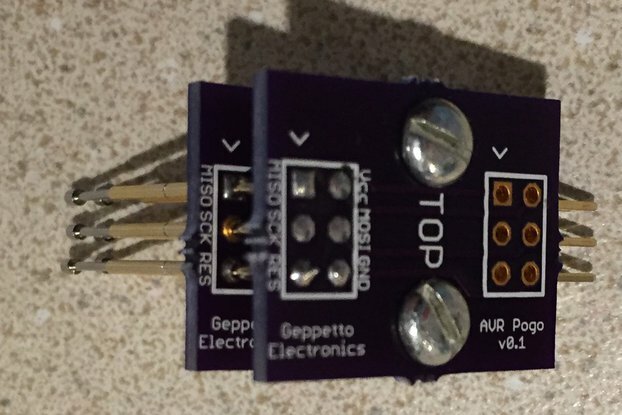 This board will alter the timing of the pulses that move the second hand in various ways (depending on the firmware), while still maintaining a long-term average rate of one pulse per second (which is required for the clock to remain accurate). The board (and in turn, the clock movement) is powered by a single AA battery, which should last around 12 months or so. The clock should be accurate to within about 30 seconds per month (±10 ppm, typical for these sorts of clocks). If you buy the board by itself, you must obtain a suitable clock movement and disable its controller. Then connect the stepper coil to the clock terminals on the Crazy Clock board, then wire the movement's battery terminals to the battery terminals on the board. You should be able to fit the Crazy Clock controller in some unused space inside the movement and it will look completely normal. There's an instructional video above that illustrates the process. If you buy the complete movement, you will get a modified and tested movement, ready to install in the clock of your choice (a clock face is not included, but attachment hardware is). The movement will come with a threaded shaft with a maximum face thickness of 1/4" and plain black hour and minute hands and a red second hand. You have a choice of either a standard 12 hour movement (one complete rotation of the hour hand every 12 rotations of the minute hand) or a 24 hour movement (one complete rotation of the hour hand every 24 rotations of the minute hand). The movement is a Quartex Q80. It's a perfect substitute for the clock movements that come with custom clocks designed at Zazzle (their hands will fit on these movements, and the 12 and 24 hour movements both fit on their faces). Alternative hands and other useful accessories can be obtained from Klockit. The normal accuracy specification of the clock is 10 ppm, which is around 25 seconds per month. 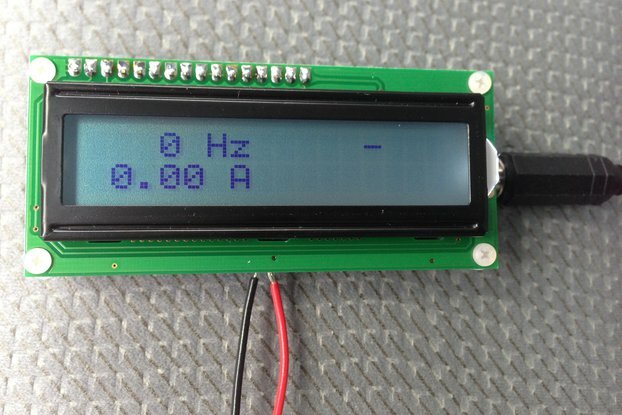 Optionally, the clock's accuracy can be measured and a compensation factor applied in the firmware. With this done, the initial accuracy of the clock is increased to approximately 0.5 ppm, or about 15 seconds per year. Eight different "novelty" firmware files are available, each with a different sort of craziness. They range from subtle to straight-up clown-car crazy, but each will still tick a total of 86400 times a day. There are also five different "alternate timebase" firmware files available, each of which ticks regularly, but with a longer or shorter daily tick count. You pick which firmware you like when you buy. 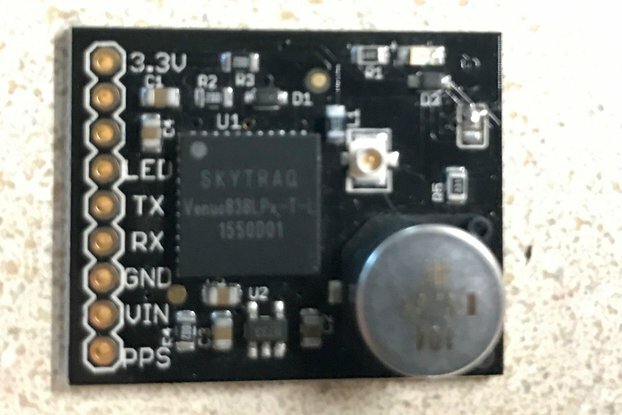 There is an ISP header on the back of the board you can use with a pogo-pin adapter and an AVR programmer if you change your mind. All of the "novelty" clocks tick 86400 times per day, so they keep accurate time, but exactly how they tick differs for each. All of the "alternate timebase" clocks tick regularly, but with a longer or shorter day (where a day is defined as 86400 ticks - 24 complete circuits of the minute hand). Whacky clock - ticks once a second, but on a random tenth-of-a-second, so it's arhythmic. Wavy clock - tick frequency is proportional to a sine wave. Sort of looks like it's "surging." Lazy clock - picks a random interval and then ticks that number of seconds very quickly and then just stops. Crazy clock - runs at three different speeds - slow, normal or fast. Much more subtle than it sounds. Vetinari clock - runs slightly slow, but adds a periodic "stutter" tick to make up for it. Warpy clock - runs 10% fast for 12 hours, then 10% slow for 12 hours. Makes the days just fly by. Early clock - keeps time anywhere between 0 and 10 minutes fast. For those who like to set their watch ahead to avoid being late. This clock keeps you from trying to "compensate," because you never know how early it is at the moment. 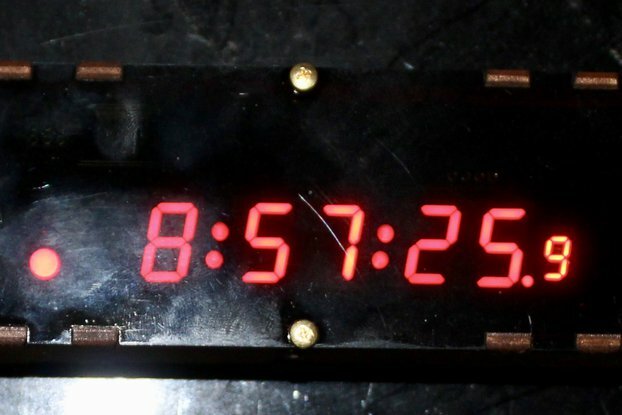 Martian clock - keeps time in Martian Sols. One day is 39 minutes 36 seconds longer than normal. Sidereal clock - keeps sidereal time. One day is 3 minutes 56 seconds shorter than normal. Tidal clock - keeps lunar tidal time. One day is 50 minutes 28 seconds longer than normal. Lunar clock - The hour hand tracks the lunar phase cycle. 12 revolutions of the minute hand take 29.53 days. Zippy clock - Runs at 5 times normal speed. Useful as a metaphorical display piece showing time moving very quickly. There is also a "normal" clock firmware file available on GitHub, which reverts the controller to normal behavior (86400 regular ticks per day). 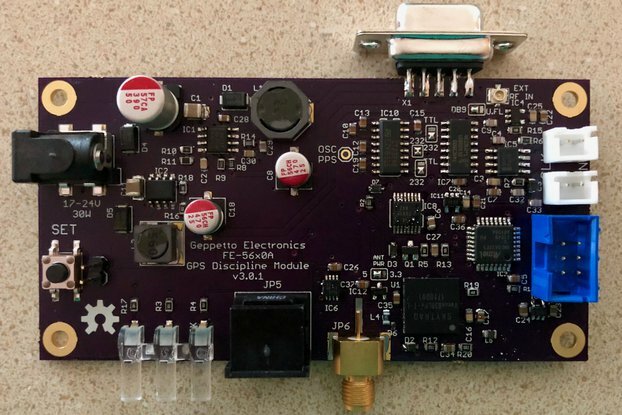 For those that want to experiment with the firmware, it is open source (GPL v2), and consists of a "base" of common code that sets up a 10 Hz interrupt cycle that drives the behavior of the clock. The base exports methods that "tick" or "sleep" (you call one or the other in an infinite loop) as well as a random number generator. What this means is that your code need only decide every tenth of a second whether it wants to tick the clock or not, and all of the rest of the details of how that is made to happen are all taken care of for you. The base takes around .75K of flash, 11 bytes of RAM and 6 bytes of EEPROM (for storing the PRNG seed and trim factor). The rest is available for your code. I had originally tried to reuse my old clock's hands, but my clock was built more cheaply than the crazy clock mechanism. On my original cheap clock, the hands just pressed on. I ended up using the ones that came with the crazy clock. Not exactly the same as the old ones but much better quality and easier assembly. You can also peruse the selection of available replacement hands at klockit.com. Look for hands compatible with the Quartex Q-80 movement. I got it and already integrated with 24H wall clock. I will install it in my lab but now I'm testing it at home. Works so far without issues. With the increasing interest in Mars exploration I thought a clock that keep Mars time would be neat to own. I made up a clock using a photo of the planet on a acrylic base and would like to report it's keeping outstanding Coordinated Mars Time! I'm appreciative that a colck like this is available and at a very reasonable price. I'm very happy with the quality and the shipping time was excellent. Thank you! I was hoping the battery terminal connections would be in the same spot as in the ikea movement, but the board was small enough to slide in a different place and a couple wires to the battery connectors had it ticking away nicely. I like the fact that the odds of glancing at the clock and the second hand is still are pretty high. I just tell people that the hands are holding a meeting to discuss the implementation of the next set of deliverables. So I bought this to use as a prank, installed in the (OCD) victim's office clock. Great reaction! This works perfectly and the time stayed accurate, even without calibration. Thanks! Cool product and as expected. I like that it is compact and composed of surface mounted components. 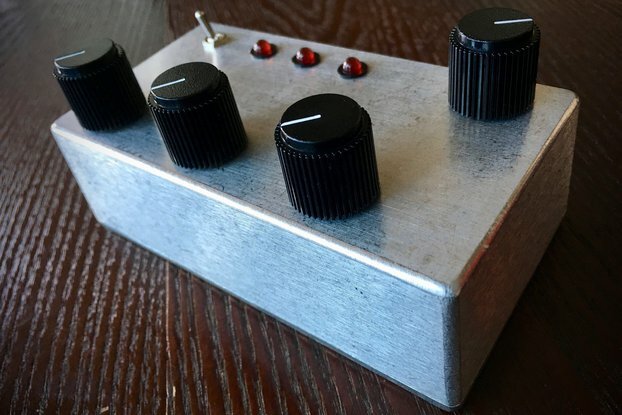 I've used other clock controller kits and if programming goes well with this one I may switch. I wish it was easier to connect a programmer. 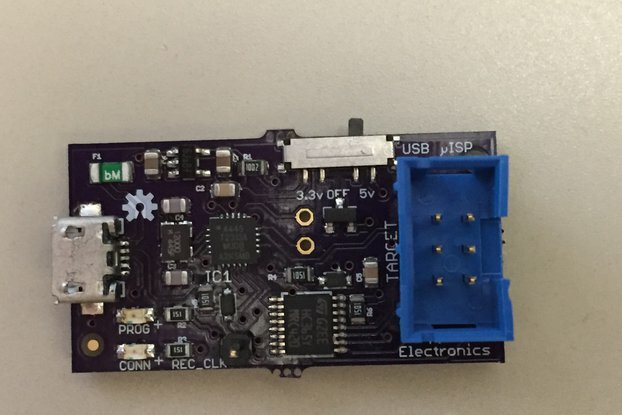 It would be great to have the board drilled for a 6-pin port. I've not used a contact-based method like this so we'll see how it goes. Using a pogo pin ISP header saves space that's critical to achieving the minimal size. You can route on the opposite side of the board under four of the pads. That wouldn't be possible with a traditional through-hole header. 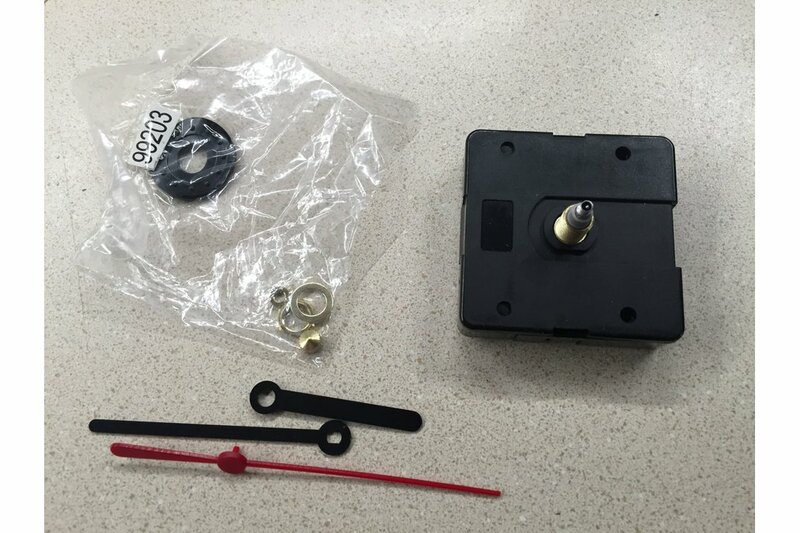 I sell a pogo pin programming adapter kit, or you can get one from SparkFun. Great product! We have a bunch of matching clocks here on campus and I rechipped one to sneak into other offices on occasion. Great reactions so far. The conversion was very easy. I use it for an astronomical clock and both mowements works great. The seller is serious and professional. the shipment to italy was fast. I wanted an analog sidereal clock (one that keeps time by the Earth's rotation relative to stars on the celestial sphere, rather than the Earth's rotation relative to the Sun) and was surprised there weren't many options out there. But fortunately I found this movement which works great! Thanks so much! A conversation piece that's a lot of fun. Most quartz clocks keep time within a second or two per day, and this one's no different. But the random stop-and-go way it keeps time is a real attention getter. Your friends will do a double-take when they see (and hear) your clock seemingly struggling to keep going. After I installed the first one I went back to buy some of the others. I've run out of clocks to put them in! I received the assembled clockworks. Runs perfectly. Well not "perfectly" but runs as advertised. Got this for Christmas of 2014....fast forward to May 18, 2015. I finally installed this into a clock, works great. small size actually fit INSIDE this clock's assembly. I wrapped battery connections around the spring tabs and heat shrink for the power connections. Got the clock at a place called "And That", was $9.50. Great accuracy and makes friends who visit double and triple check their eyes. Have had one friend who said he thought it needed a new battery, but I asked why??? Still keeps pretty accurate time. I love how it'll randomly stop, then go CRAZY fast to catch up. I'm getting another one for another clock I already have. I was really pleased with the Crazy clock mechanism. I went for the Lazy option and decided to buy the fully built version. The clock has been working faultlessly these last week's and I feel sure that this will continue. I was disappointed however with the packaging, the spindle had come through the jiffy bag. More packaging is definitely required. Since this review was written, I have come up with a solution to the packaging problem. Movements are now shipped in an inner cardboard sleeve that prevents the spindle from puncturing the outer envelope. I have purchased several Crazy Clocks (always the complete movement—i had a bad experience trying to re-assemble a clock once…). They always arrive super-fast and always function flawlessly. The Lazy Clock hangs near my drafting table, and it’s downright upsetting to people. 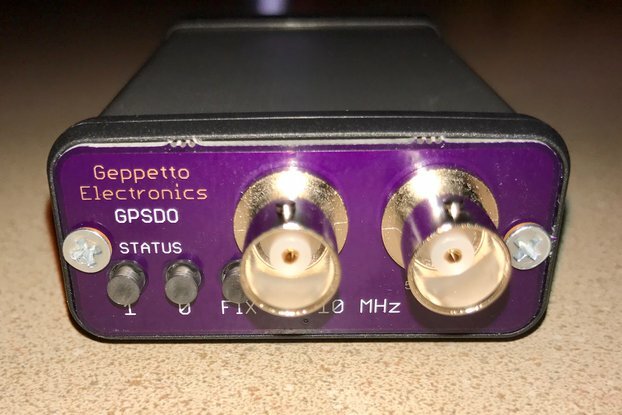 A couple times I have had simple questions: Geppetto Electronics always responds quickly and courteously. In fact, I check back every now and then to see if new things are in his store, just for fun! I have converted a couple of clocks over using this controller and it has been a quite straightforward procedure, with a great result at the end. 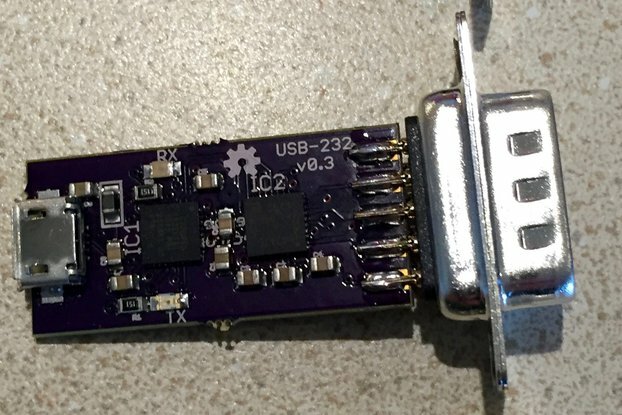 I had a little difficulty when I initially tried to upload other firmware to the boards (due to my unfamiliarity with the attiny chips), but Nick helped clear up where I was going wrong. Recommended! I got the Crazy Clock with the sidereal time firmware. It just works. The video documentation was straightforwards (though at one point the author's hands obscured the point he was indicating). About five minutes of cutting four traces and soldering four wires and the unit was working perfectly. I was trying to make an astronomical clock, and the creator suggested a 24-hour clock mechanism that would work well with the Crazy Clock. And indeed it was so. Works perfectly. My clock is absurd now. Love it!